Sony is getting out of ebooks. Sony has started sending out emails to customers today informing them that they are closing the Sony Reader Store in the United States and Canada. It’s shocking that Sony would do this, but not really surprising after they decided not to release the PRS-T3 ebook reader in the U.S. last fall, despite releasing it in Europe and Canada. Sony has been pulling away from ebooks and ebook readers for some time. Now it’s getting official. At this time it’s unclear what Sony plans to do with the few international ebookstores they offer, but as March 20th, 2014 Sony will close the Reader Store in the U.S. and Canada for good. What’s more, Sony is sending customer accounts to Kobo, which is the exact same thing that happened when Borders Books closed in the U.S. a few years ago. Sony says that they will send out emails in late March that will include a link that will allow customers to transfer their ebook libraries to Kobo. You can still download your purchased ebooks from Sony until then, and that’s something every customer should do just in case the transition to Kobo doesn’t go smoothly. It would probably be a good idea to remove the DRM at that point too, just in case Kobo decides to move to the new Adobe DRM system in the future, which could potentially make the ebooks incompatible with Sony Readers later down the line. A move like this brings up lots of questions, of course. Sony has posted a FAQ that answers many of them. They even admit that a few of your purchased ebooks may not make it through the transition and advise downloading them before April 30th. All subscription services will be ending, credits and gift card balances will expire if not used up or transferred to Kobo, pre-ordered books will be canceled beyond the deadline, and customers can even elect to opt out of the transfer to Kobo if they choose. Another interesting detail in the FAQ notes that the PRS-T1, T2, and T3 will be updated, as well as the PC and Mac program, to download books from Kobo directly. The PRS-900 and 950 will not be updated, however, so their wireless capabilities just became obsolete. Not surprised, just disappointed. I was hoping agaisnt better judgment that it wouldn’t happen. I’m a huge fan of the PRS-350 and would still choose that over almost any other offering from Sony (or Kobo or Amazon). But they haven’t made competitive hardware in a while, I can’t stand the software and they don’t go through all the marketing and sales efforts I see at Kobo or Amazon. They stopped trying years ago. The writing was on the wall. Nathan, this doesn’t surprise me either and I agree with you completely about the DRM issues. When we buy a physical printed book no one is going to come and take it away from you if the publisher or distributor go out of business. What’s really unfortunate about this is Sony is the company that really got the e-reader concept workable and it was Amazon that changed the business model and took it mainstream. I also use the Kobo e-book store and the selection there should be comparable. I jettisoned my PRS-950 around 12 months ago. Cue the funeral dirge. 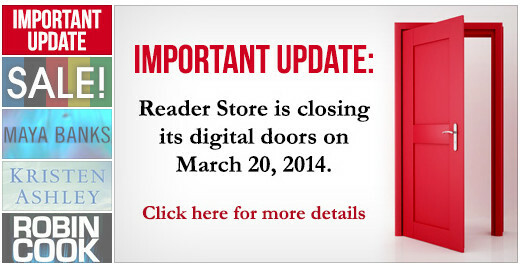 So long, Sony Reader. Of course, I can’t say that I will miss Sony that much. I haven’t purchased an eBook or eReader from them since 2010 and 2011 respectively. Starting with the PRS-T2, it seemed that Sony was intentionally sabotaging their own company. My theory: perhaps the senseless device side-grades, refusal to sell the PRS-T3 in the USA, and non-competitive eBook prices were an attempt to keep sales low so that there would be an excuse to sell off the whole thing. The worse the sales, the easier it would be for an eager executive to justify closing down the division. Someone at Sony read the tea leaves and realized that they would never be able to complete with Amazon, secure market share, and remain profitable. At least I hope there was at least some reasoning behind the downfall of the Sony Reader. Sony e-book gift cards will indeed need to be *redeemed* by March 20, but that turns them into a credit which *should* get transferred to Kobo. I’ve tweeted a question to Sony for clarification on that point. I’ll let you know if I hear back. Also, “pre-ordered books will be canceled” isn’t strictly true, either. Pre-orders are being kept on file and will be fulfilled up to the March 20 closure date. Any pre-orders beyond that date will be canceled. I know what mean but the sentence was already really long and I didn’t want to elaborate on the specific details for each, that’s why I linked to the FAQ a couple of times. But I managed to cram a little more clarification into the sentence upon your request. Sony replied to my tweet, but I’m afraid the answer didn’t clarify. They confirmed that credits will transfer, but I was looking for confirmation that a redeemed gift card is a credit. I’m pretty sure it is, but we’re dealing with actual money here. I’m wary of stating anything one way or the other. I wouldn’t trust Sony. They cancelled all newspaper subscriptions today without notice and customer service says there is no information on refunds of the unused portion of the subscription. I tried to redeem credits by purchasing a book and clicking on checkout resulted in a purchase (in a second attempt to redeem the credits there was an actual purchase option). Customer service said once “purchased” via checkout there was nothing they could do, because all “purchases” are final. A sad day. Essentially all of us who have Sony readers now own Kobo e-readers. I’m predicting the end of the e-ink-based e-reader market. It is no longer Amazon vs. Kobo vs. Sony vs. B&N. As far as e-readers are concerned it is now inexpensive tablets against the Kindle. Was never a big fan of the Kindle but — hoping the Kindle will manage to keep e-ink alive. At least no matter what happens Amazon wins — since they have the Kindle Fire tablet. Not that I know any more than you do, but I’m guessing that this really doesn’t much affect the E-Ink reader market. Sony’s been out of that market in the US for about a year now anyway. Real data seems to be impossible to come by — the companies involved are playing their cards very close to their cold, lifeless hearts. But it *appears* to me that most people aren’t book readers nor e-book readers, and they’re the ones buying tablets. The folks who buy a lot of e-books tend to go with E-Ink for at least one of their devices, and neither publishers nor booksellers are going to want to drive them away. I expect Amazon to continue to supply E-Ink type e-readers for the foreseeable future. B&N too, until they give up entirely; their most recent e-reader is E-Ink, and in fact a very nice one indeed. Kobo is a question mark. The big “problem” with E-Ink screens from a bookseller viewpoint is that while they do most e-books well, they don’t do e-magazines very well. So I expect to see color devices continue to be included in the product lines. Sony is not popular here in Europe either. Soon they will be out of this market completely. Sony Mobius is a different beast. Very expensive, but I do think it sell well in his business market. Yes, kind of sad even though I’ve never bought from Sony. I love my Kindle PW and e-ink readers in general because I love to read and the experience is so good with these types of e-readers. My mom is a good example; she’s never warmed to reading on the tablet my brother got her last year but loves reading the Kindle PW I bought her this year. Long live e-ink readers! The children really appreciate their PRS-T1s but I never managed to get anything from the Reader Store, for much the same reason as my dislike of Adobe Digital editions : restrictive sales methods, etc. I hope other manufacturers will develop up to date e-ink devices which will allow freedom of choice for the buyer.